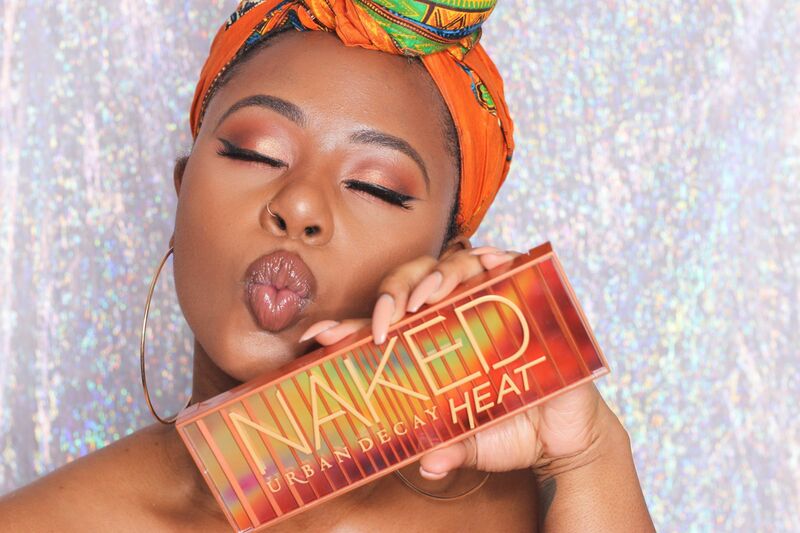 This palette really had people on the fence, including myself, as we all saw the terrible terrible swatches when it was first released, however, with the help of Jackie Aina and a few IG swatches I quickly changed my mind and decided I needed this palette in my life. So I waited and waited and waited and finally ordered after it’s release date a few weeks back. 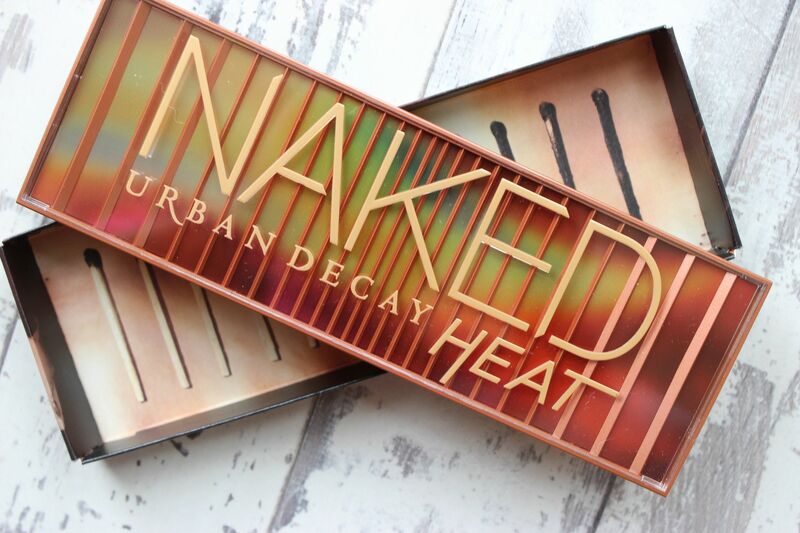 On first impressions I can say the Urban Decay Naked Heat Palette – £39.50 is a palette after my own heart! 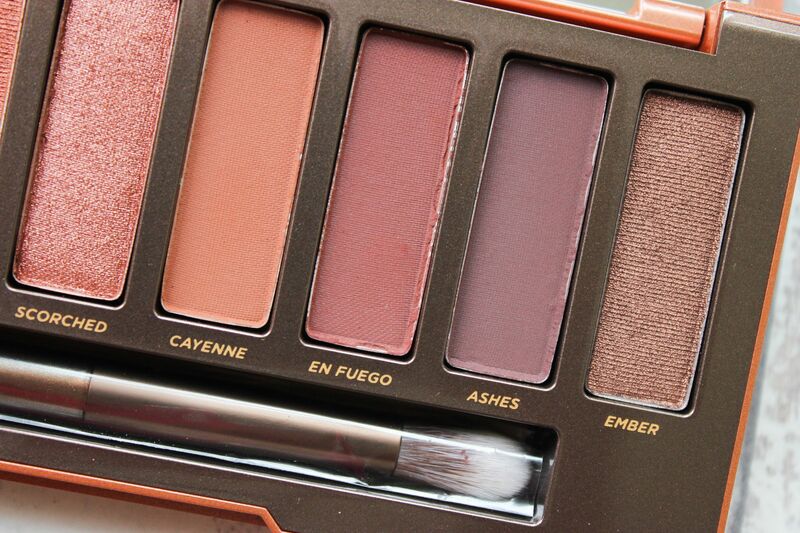 Warm, orange, earthy tones – yes please! The palette itself contains 12 shadows, 7 of which are matte with the remaining 5 being shimmers. 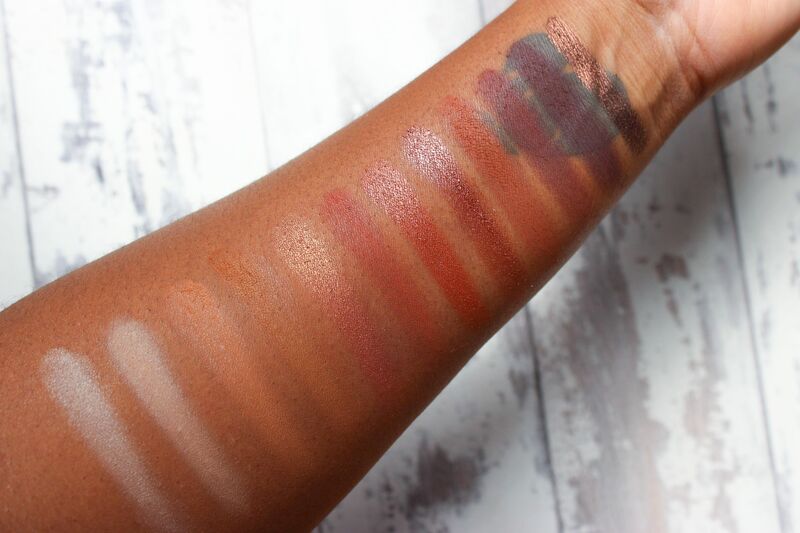 A lot of deep fiery and earthy shades which I love, so no problem here! Upon swatching with the double ended brush I found that the mattes were really chalky and no where near as buttery as I would like which really worried me but when I switched oi my finger this seemed to help a lot and the mattes swatched better, the shimmer in the palette were no problem, they were pigmented from the get go! My favourite shade from the palette is definitely Lumbre, in fact, Lumbre was one of the reasons why I picked up this palette! I had high hopes for En Fuego but unfortunately it isn’t as rich as I would like which is a shame but it does work well nonetheless. 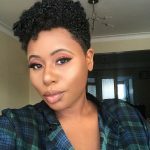 For the look above I used Low Blow (base shade), Ounce and Chaser (brow bone highlight), Ounce (inner corner highlight), He Devil and Cayenne (transition and crease colours) Lumbre and Dirty Talk (lid colours) and Ashes and En Fuego (smoke). Application was actually a breeze, all shadows applied really well and blended beautifully. I tried to use as many shadows from the palette as I could and as you can see it resulted in a gorgeous look, all of the shadows compliment each other really well,which may seems like a stupid thing to say as it would be expected that all shadows work well together but from the Subculture fiasco I think this can’t always be guaranteed. So, do I think this palette is worth buying? Well, I LOVE it! If you have the Morphe 35O, do you need this palette? No. All of these colours are dupable and I’m sure all of these colours can be found in the 35o palette, I have it and I can see (just from a quick look) that the 35O palette has a dupe for each shade. So why do you love this more then, Natalie? Honestly, this is probably going to sound so silly but this palette gives you less, therefore taking the guess work out of the shadow choices. 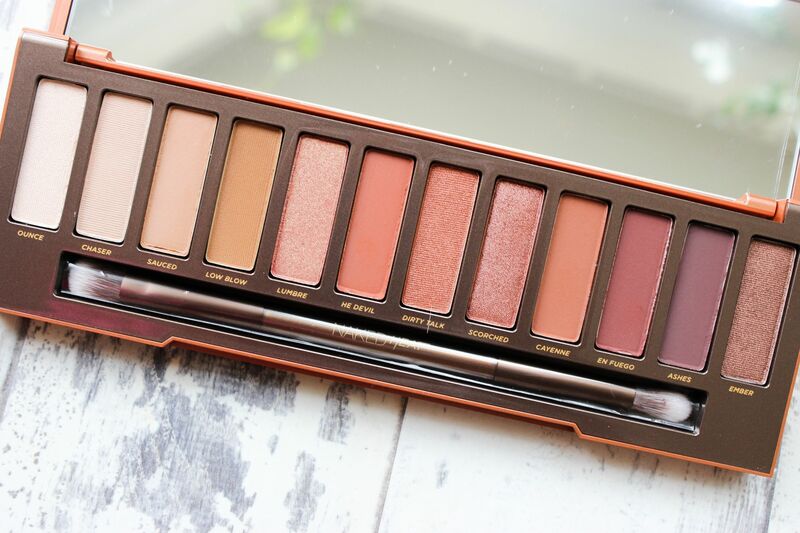 I rarely reach for my 35O but I love the Naked Heat as I don’t have to put too much thought into what colour goes with what. So what I’m saying is, for a pocket friendly option please get yourself the Morphe 35O, for a more indulgent option, and possibly an option for beginners, the Naked Heat Palette is a great, albeit more expensive, option. 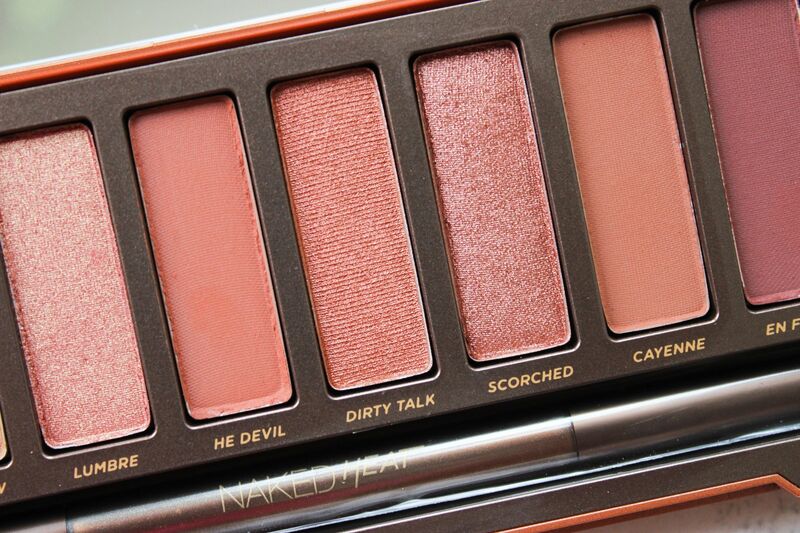 I like that I know what type of look I’m going to get when I pick up this palette. I’m so happy that I picked this palette up. Great review! 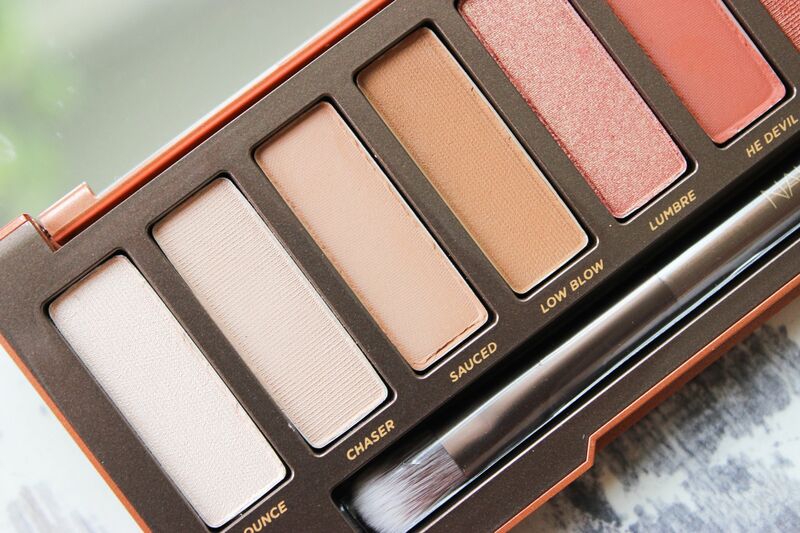 It’s a gorgeous palette! I really like it! Thanks for reading Jennifer! it makes me so sick how beautiful you are. As in the NONSENSE. LMAO. Anyhoo, love this post! I’ve been preeing this palette for a while because i love how the shimmer shades look…may have to just deep it and purchase TBH. LOOL! 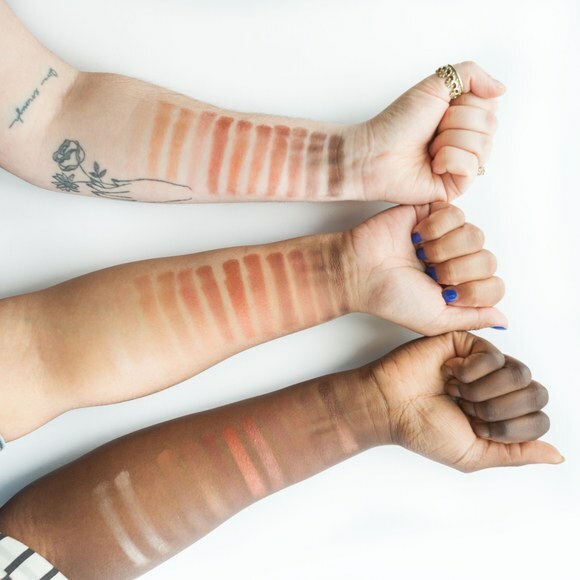 If you love warm shades this is a great palette and it looks bomb on black skin! I really like your look with the palette, do you have a tutorial?